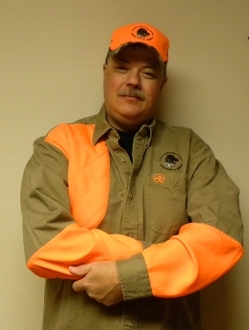 LMAA logo shooters shirt in khaki and blaze orange. Copyright © 2014-2019 Large Munsterlander Association of America. All rights reserved.